The Snapdragon 8cx uses some work done for the Snapdragon 855, but is designed to power a notebook and generate heat. Therefore, it is much more powerful than a smartphone, hence the "x", which stands for eXtreme. 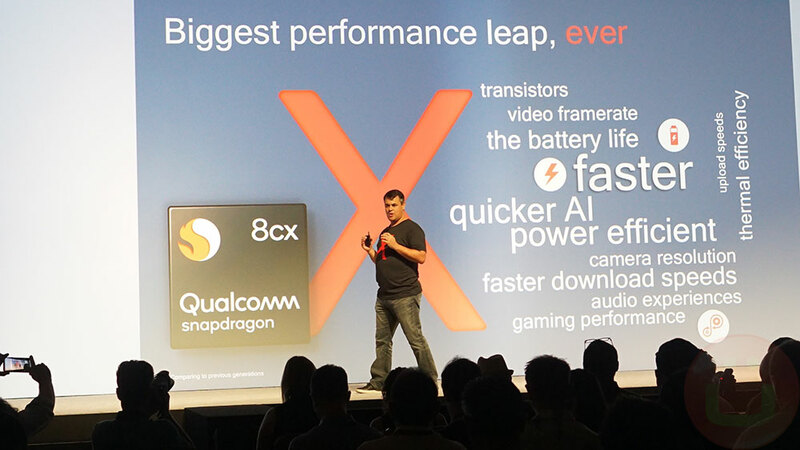 It's true, 8cx is the most extreme Snapdragon ever built. Unlike its predecessors, Snapdragon 8cx is not a newly used smartphone processor / SoC. Instead, it was created in parallel and is the first 7 nm processor for Windows set to a new, higher computing level. It can use a larger die size, and thus more processing units, cache memory, and everything else that is normally used to increase performance. Its general architecture is similar to the new Snapdragon 855 announced yesterday, so be sure to read our Snapdragon. The co-processors, however, are even more powerful. The graphics processor specifications Adreno 680 Extreme state that the transponder number is 2X and the bandwidth of the Snapdragon 850 is 2X. connected processor that was launched earlier this year. There is no doubt that many of the new transistors made the shading units, which is a sure way to drastically scale performance. The graphics are not computationally unlimited and the more shader units can be used, the better. The internal screen can reach a resolution of 4K However, it is also possible to connect two additional 4K displays (3 in total) via USB-C Thunderbolt. The cluster of Kryo 495 CPU cores has 10MB of internal cache (L3 + system) and is designed for the performance of a 15W Intel processor, but consumes only 20% of its power. It should therefore outperform the performance of a 7-watt Intel processor, even from the point of view of "performance per watt" – says Qualcomm. Snapdragon 8cx computers can have up to 16 GB LPDDR4x RAM Use NVME SSD drives. This should improve memory performance, as Snapdragon 850 previously only supported UFS, the traditional storage protocol for mobile phones. UFS 3.0 is supported if the OEM wishes (perhaps for Android tablets). The Hexagon 690 DSP (Digital Signal Processor) and the Spectra 390 ISP (Image Signal Processor) are also improved versions of the Snapdragon 855 internal co-processors and should be used by Qualcomm drivers for a variety of tasks, even if they are not are present in conventional PCs. The "Always-On, Always Connected PC" chip includes a built-in Qualcomm X24 4G LTE modem with top speeds of 2 Gbps. Each PC with Qualcomm technology has native connectivity from day one, outperforming current PC LTE options by a mile. Due to its higher energy efficiency, Qualcomm expects the battery to last "several days" and when charging begins. The Quick Charge 4+ program for fast charging is supported when the OEM chooses. The architecture of always-on always-connected computers has developed extremely fast: in ~ 18 months, it went from Snapdragon 835 to Snapdragon 850, and now to Snapdragon 8cx, which is even more powerful than 855. Snapdragon 850 will co-exist with the new 8cx architecture to cover two different levels of mobile laptop computing. Filed in Computers> Events . Read more about Qualcomm, Snapdragon, Snapdragon Summit and _breaking.